DENHAM SPRINGS, La. (BP) — John Whitehead woke to an unfamiliar sight in mid-August — water had breached his house and was rising fast. The Louisiana State University student panicked for a few minutes, facing tough decisions. What should he save and what should he leave behind? In the end, the answer was simple. Muddy water lapped against his waist as he struggled to heave his black Labrador retriever Rascal into his kayak. Then, he paddled away from everything he and his family owned in Denham Springs near Baton Rouge, knowing they would never see most of it again. His parents, Darrell and Zanie Whitehead, were in Tuscaloosa, Ala., trying to get home. They talked by phone several times as the situation worsened. “I called the fourth time, and he said, ‘Quit calling me, I’m trying to save people,'” his father recounted. By the end of the day, John Whitehead and his kayak had carried a number of people to safety, including two elderly women who were clinging to a chain link fence, with water up to their chins. On Labor Day weekend, flood survivors like the Whiteheads in south Louisiana were on the receiving end of an even larger wave of help. 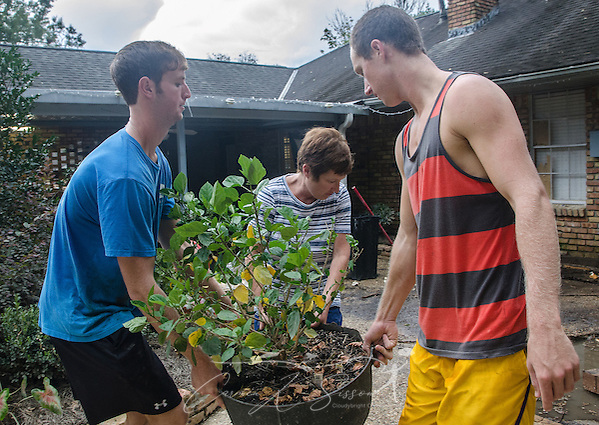 LSU’s Baptist Collegiate Ministry spearheaded a massive cleanup event, drawing more than 450 students from collegiate ministries in Louisiana, Texas, Arkansas, Florida, Georgia and Tennessee. 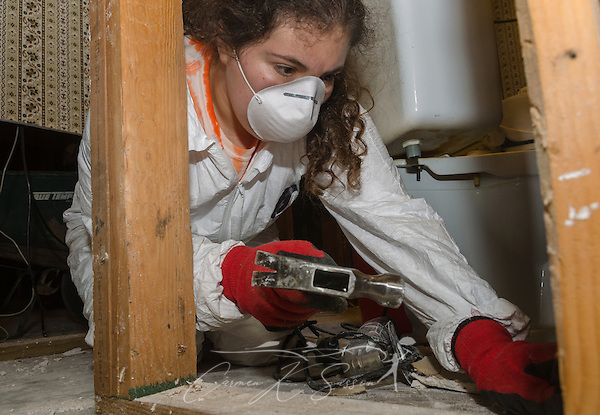 As the LSU Tigers played their first game of the season, the students pried up waterlogged wood flooring, tore out sheetrock and tried to salvage homeowners’ keepsakes from encroaching mold. At the Whitehead home, not much is left. The few possessions they own are stored in a 5-by-8-foot shed — with room to spare. But Darrell Whitehead, a former children’s minister, is still grateful. The family’s church, Istrouma Baptist in Baton Rouge, has helped, and strangers have given love offerings. But the students were a surprise. Whitehead estimates they saved him approximately $10,000-$12,000 for professional gutting, and they finished so far ahead of schedule that they were able to help neighbors with their cleanup efforts. It was an eye-opening weekend for some students, said Korey McCrady, director of Baptist Student Ministry at Navarro College in Corsicana, Texas. Many had never experienced a flood. Others had never used a sledgehammer or power tool. For Arkansas State student Kristen Scarlett, a rough week on campus seemed trivial when compared with the flood survivors’ burdens. Some students hesitate to volunteer because of the perceived time commitment, said Annie Pucciarelli, a student from First Baptist Church in Brandon, Fla. But she believes collegians are the perfect age, especially if they are not already juggling families and careers. Pucciarelli praised Southern Baptist Disaster Relief for making it easy for cash-strapped college students to participate. Local churches provide lodging and meals. The only expense is fuel. Students sometimes worry that they won’t have the skills to tackle the work, but LSU student Cullen McDaniel, of Jefferson Baptist Church in Baton Rouge, dismissed that excuse. 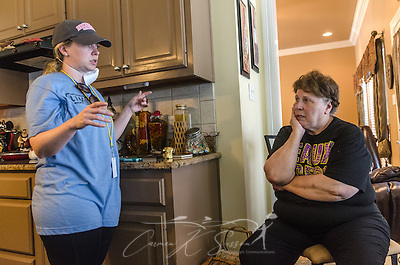 The students were a comfort to Baton Rouge resident Paulette LaComb, a member of Immaculate Conception Catholic Church. In her once-pristine home, students filled every room, with the sounds of hammers heard through the halls. If this were any other day, her house would be tidy and she would be in the kitchen, cooking jambalaya for her guests. Now the sink doesn’t work and floodwater contaminated her dishes. She applied for food stamps but her application was denied. The community has united more since the tragedy, said Sarah Farley, BCM associate director at LSU. The Baton Rouge area has endured a lot this summer, Farley said, referring to several fatal incidents between residents and local police. But she believes the flood has washed away some of the anger and pain. Southern Baptists have 65,000 trained volunteers — including chaplains — and 1,550 mobile units for feeding, chainsaw, mud-out, command, communication, child care, shower, laundry, water purification, repair/rebuild and power generation. SBDR is one of the three largest mobilizers of trained disaster relief volunteers in the United States, along with the American Red Cross and The Salvation Army.